Set out this morning to find a small, inexpensive second hand cast iron vessel to melt some lead for my centerboard. No luck really finding anything cheap. 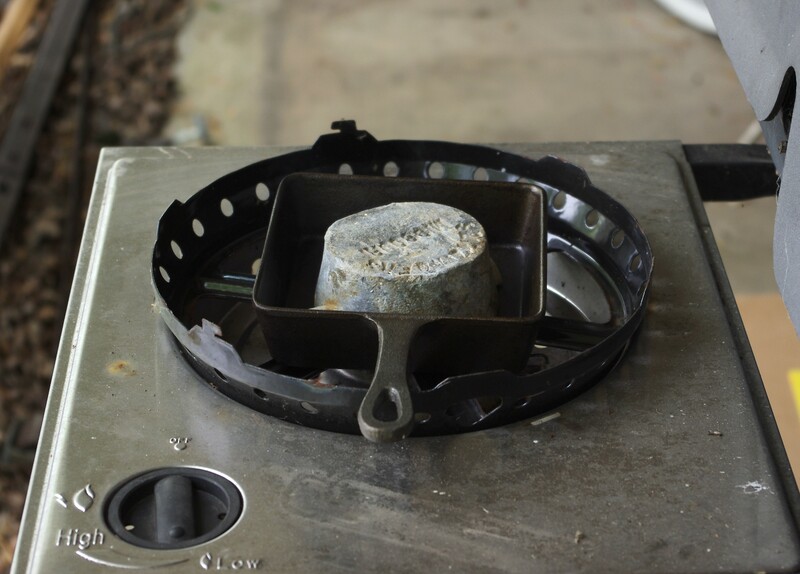 As a last resort we stopped in a consignment shop and they had a nice little square cast iron pan – looks about the right size to do one grilled cheese sandwich – or one five pound hunk of lead. Set it up on the side burner of my barbercue grill. After about twenty minutes of nothing happening I got out my Mapp torch to boost the heat and then it melted no problem. I had built a mold beforehand the same size as the cutout in my board. 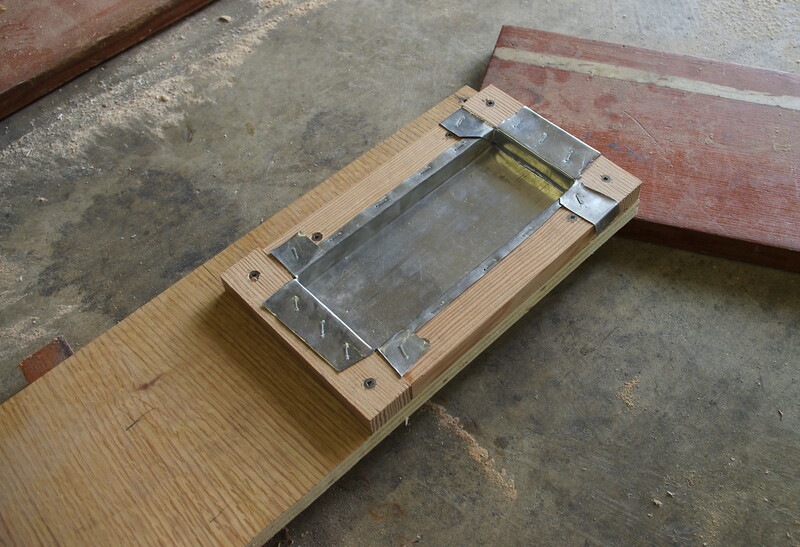 Aluminum flashing lining the mold. It worked great. I very carefully poured and filled the mold in two pours – ten pounds. That should do it. After letting it half cool off it popped out of the mold easily. After a full cool it was epoxied into the board and the plywood sheathing epoxied over that – never to be seen again! This method saved me from burning my board and maybe ruining all my previous work. 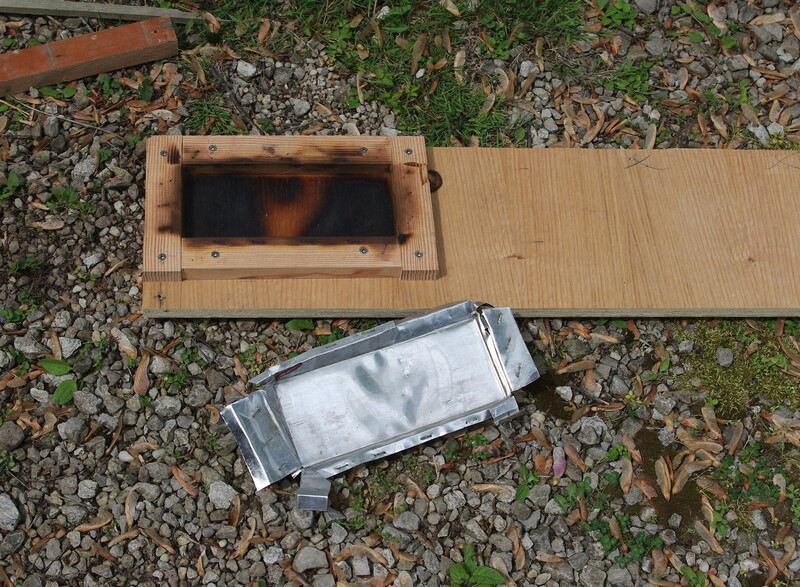 You can see in the after pic how burned the wood got – and that was with the aluminum flashing insert! I hope ten pounds is enough to keep the board down – time will tell. This entry was posted in Sharpie build and tagged boat building, centerboard, lead weight centerboard, sailboat, sharpie sailboat, wooden boats. Bookmark the permalink. 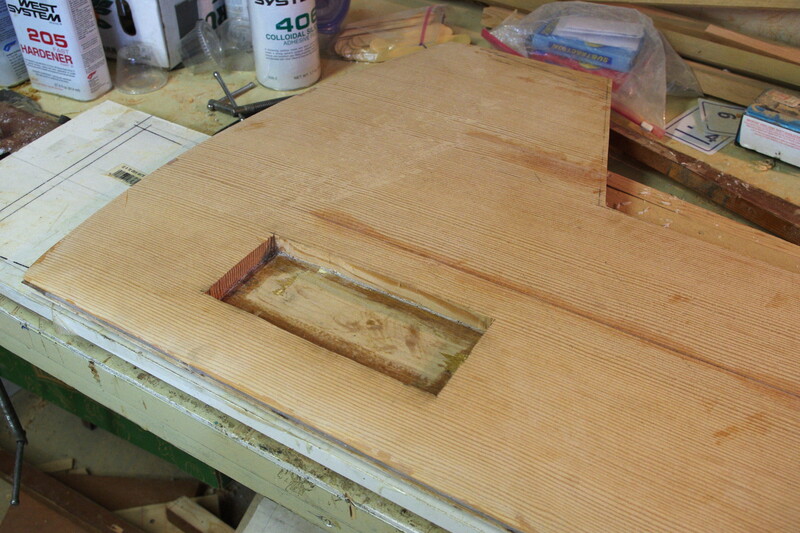 found your blog while looking for ply to use for boatbuilding. you are doing a beautiful job. can’t wait for the paint and finishes.